Mother’s Day is just around the corner. Are you tired of the usual surprises you do for your mum each year? Fortunately, there’s more to celebrating this special occasion. This coming Mother’s Day, you can make it more special, fun and really unforgettable. And we’ve got some really great tips for you! Mother’s Day is that one special day of the year when the most important women in our lives are celebrated. 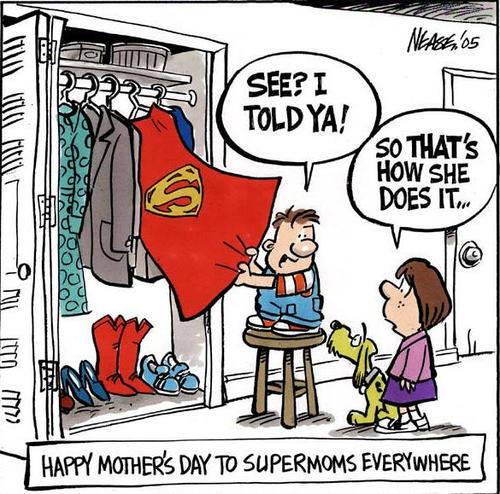 It’s always nice to give our supermums a restful break. After all that our mums have done (and keep on doing) for us, isn’t it about it we give back? 1. Start the day right with a great meal. As a child, my siblings and I would let mum sleep in and bring her breakfast in bed. Sure we left the kitchen in a big mess and we served her a burnt toast (or two) but she loved it nonetheless! When was the last time you made mum a meal? Bring out that inner chef in you and whip up something extra special for the most important meal of the day. Not a kitchen wiz or don’t have the time? Don’t fret, treat mum to Dello Mano Cafe for breakfast or lunch instead. She’ll love the ambiance and the meals that are fit for a queen. Follow me on my trips around the world! High on Leather is one of the biggest wholesalers, dropshippers and retailers of vintage looking leather bags which are made of pure and genuine goat hide.